Have a large project or seasonal demand that you cannot support with your current vehicles? Need extra space to transport your stored items from point A to point B? 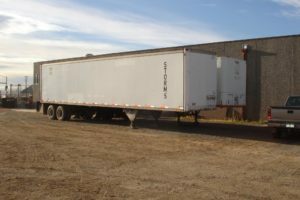 Storm’s Specialty Services offers semi-van trailer rentals as a solution to meet your needs. Ensure your products, materials or belongings reach their destination safely. Our trailers are secure, clean and durable to get the job done right. You won’t find a storage and trailer company quite like ours in Eastern Utah and Western Colorado. Renting with Storm’s is easy and hassle-free. We offer professional support service to our clients, ready to assist you with all of your needs. 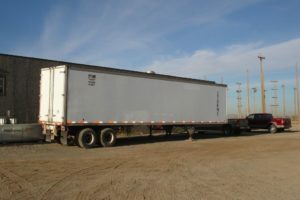 Our trailers are dock height for convenience and accommodate a wide range of load sizes. Whether you need a one-day rental or a more long-term solution, we have the capability to support you. Request a quote for one of our semi-van trailers today.